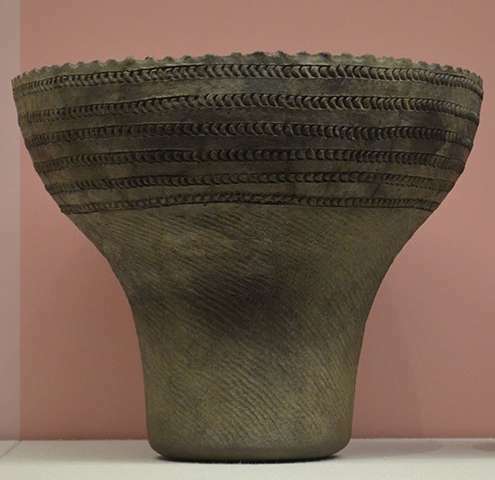 Jomon pot from Torihama in Western Japan dating to ca. 6,000-7,000 years ago. Credit: Wakasa Fukui Prefectural Wakasa History Museum. 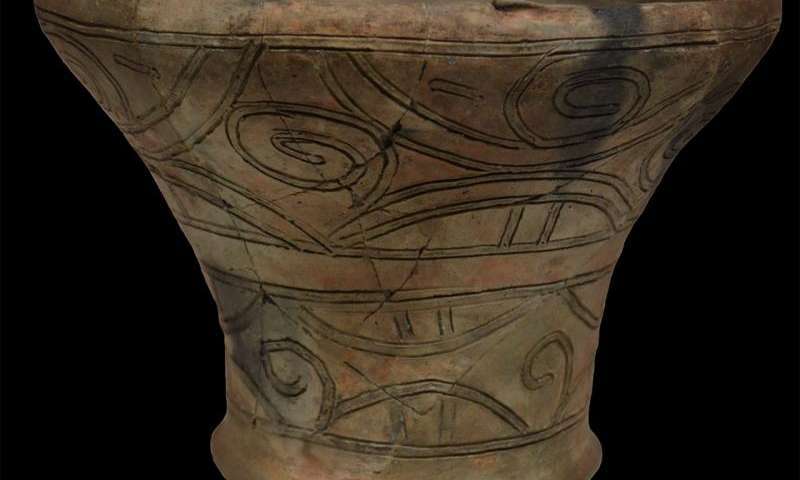 Archaeologists at the University of York, leading a large international team, have revealed surprising new insights into why pottery production increased significantly at the end of the last Ice Age - with culture playing a bigger role than expected. Performing molecular and isotopic analysis of lipids extracted from vessels spanning a 9000 year period, the researchers found that pottery was used largely for cooking marine and freshwater animal species - a routine that remained constant despite climate warming and new resources becoming available. Shinya Shoda and Alexandre Lucquin preparing samples in the laboratory. Credit: Colleen Morgan. This functional resilience in pottery use, in the face of climatic changes, suggests that cultural influences rather than environmental factors are more important in the widespread uptake of pottery. Dr Oliver Craig, Director of BioArCh in York's Department of Archaeology, said: "Here, we are starting to acquire some idea of why pottery was invented and became such a successful technology. Interestingly, the reason seems to be little to do with subsistence and more to do with the adoption of a cultural tradition, linked to celebratory occasions and competitive feasting, especially involving the preparation of fish and shellfish. "The endurance of this transition means it was embedded in East Asian foragers' social memory for hundreds of generations, perhaps reflecting the need for a dependable method to exploit a sustainable food in an uncertain and changing world." Dr Alexandre Lucquin, Research Associate in BioArCh and first author of the article, said: "The preservation of lipids on ceramic material of this antiquity is remarkable. The analysis provides the first insights into how pottery use changed during massive climate change at the end of the last Ice Age." Dr Shinya Shoda, a visiting research fellow from Nara National Research Institute for Cultural Properties who participated in the study, said: "The findings prompt a new phase of ceramic research in East Asia, highlighting the need for widespread organic analysis of our long, rich and varied pottery records."